First Team cares about our guests and wants to help make sure their vehicle stays in great condition. That’s why we were the first dealership to offer Great Values for Life in The Roanoke Valley. Our Great Values for Life program can save First Team vehicle owners thousands of dollars over the life of ownership. 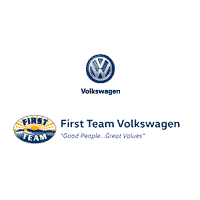 When you buy a New, First Team Certified Pre-owned, or Factory Certified Pre-owned vehicle from First Team, you can receive these services for life. That’s what Good People, Great Values is all about. Added Value, for Life! That’s what “Good People…Great Values!” is all about! How much money can you save with Great Values for Life? Use our Calculator below to find out! *As a reward for having all manufacturer’s normal scheduled maintenance performed at First Team at owner’s expense. Oil changes covered at manufacturer’s normal recommended intervals. Additional service required for severe condition scheduled maintenance is not covered and will be at owner’s expense. Program not available on commercial, diesel, Value Select used vehicles or high-performance vehicles. Other exclusions may apply. **Available when being serviced at First Team. Offers provided by Values Guaranteed, LLC, not First Team, inc. Program and prices subject to change. See dealer for written program details.